Here you can get the latest happenings and recent news around the world.These updates are very useful in upcoming recruitment and competitive examinations. 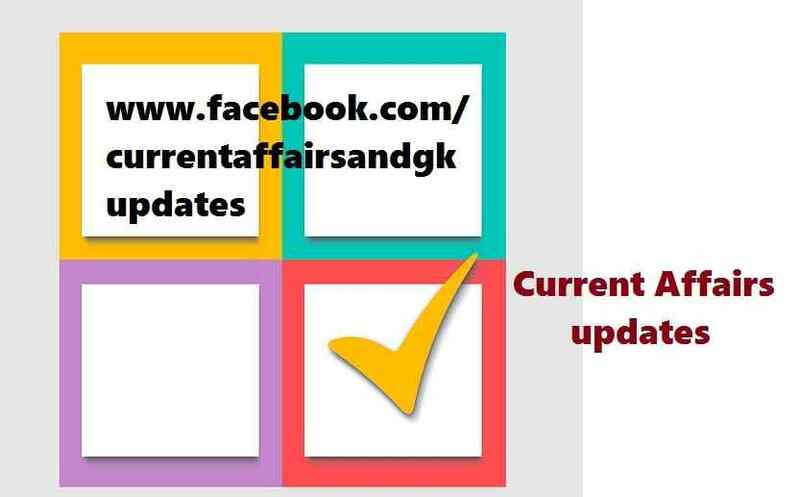 General Awareness section in all the competitive and recruitment examinations consists of questions on Current Affairs updates and G.K.(General Knowledge). 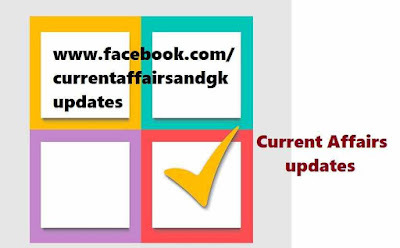 Current Affairs updates till 29th October 2015 are covered.Updates on 28th and 29th October 2015 are covered. The updates in this post are very useful in all the recruitment and competitive examinations.Hope this post helps you in the examinations. 1.Ministry of Sports increased fnancial grant to athletes.NSF grant for the senior,junior and sub junior competitions has been revised to Rs.5 lakh,Rs.7 lakh and Rs.10 lakh respectively. 2.Indian Government also decided to sanction air travel for senior players and coaches for a distance beyond 500 kms.The junior players have been allowed air travel for a distance beyond 1200 kms. 3.Top athletes who are refugees with no home country to represent will be allowed to play in the Rio Olympics 2016. (This was announced by the President of the International Olympic Committee(IOC)).The refugee athletes will compete under the Olympics flag. 4.Facebook CEO Mark Zuckerberg visited India and interacted with the students and faculty at the Indian Institute of Technology in Delhi in a town hall. 5.Gulam Noon,labour peer who was known as the curry king passed away.He died at the age of 79.He made his fortune by selling Indian food. 6.A huge earthquake shook Afghanistan.The quake shook several cities including Kabul,the capital of Afghanistan and Islamabad,capital of Pakistan.The quake had a magnitude of 7.5. 7.Anita Adalja,an Indian American farmer is among 12 individuals(who are selected across the country) will be recognized as White House Champions of Change for sustainable and climate-smart agriculture at the event in the US.Anita Adalja is currently working as a manager at the Arcadia Center for Sustainable Food and Agriculture. 8.Vidya Devi Bhandari,Communist leader was elected as Nepal's first woman President by the Parliament.Nepal adopted a new landmark Constitution that declared the country a secular state recently.